Have you been on a bit of an unlucky streak recently? Broken a mirror? Petted a black cat? Thanks to the Hexbreaker 2 slot, you can break out of your bad luck spiral and pocket some outstanding cash prizes in the process. 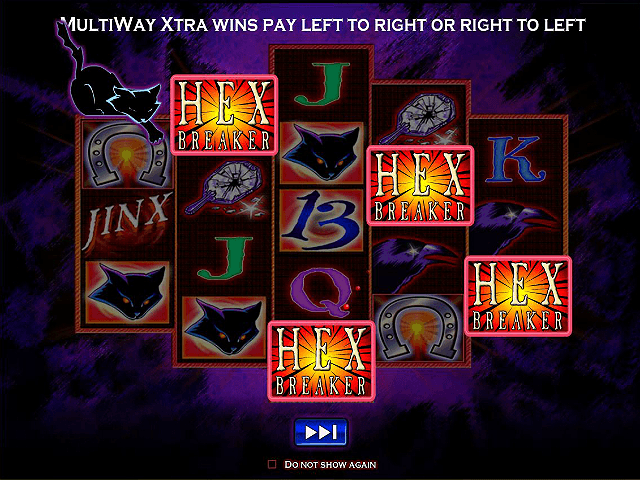 This game has been created by IGT, and, as has become customary from this software developer, boasts opportunities for players to win with each spin. 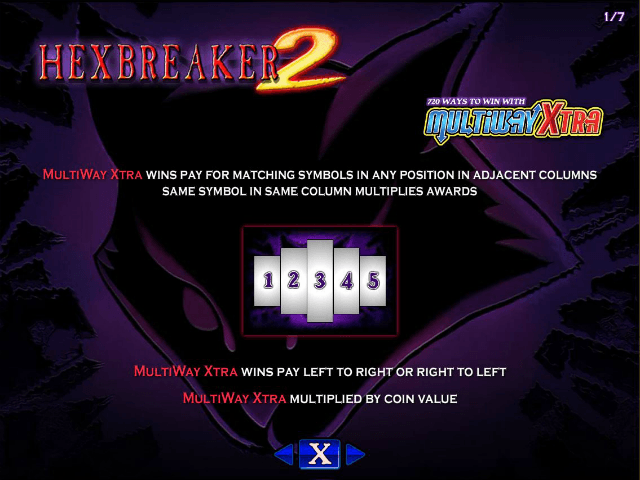 IGT have incorporated their MultiWay Xtra technology into Hexbreaker 2, which means you have 720 ways to win with each spin of the reels. Your luck could be about to change. 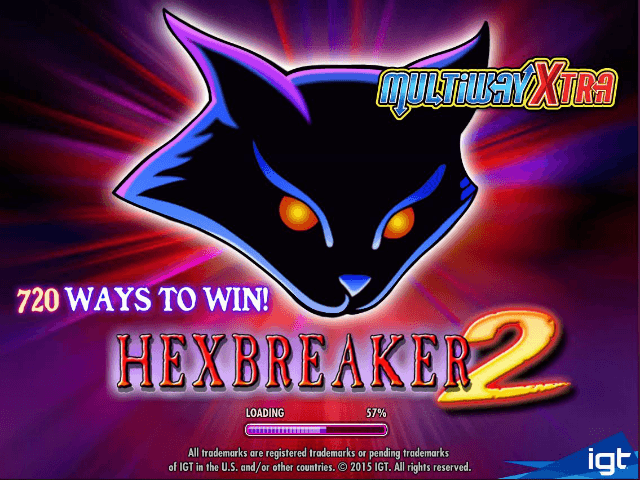 Before you take to the reels, however, read thorough our Hexbreaker 2 guide as we reveal how to maximise those chances of winning big. 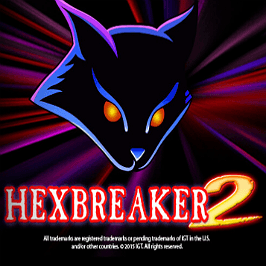 Play Hexbreaker 2 for Real Money! There are three more symbols to be aware of in the Hexbreaker 2 online slot game: the scatter (the word ‘jinx’), the wild and the bonus (the horseshoe). You’ll be looking to land three or more scatters on your reels for some basic but handsome payouts: a trio pays 3x your total bet, a quartet rewards players with 20x their total bet and a quintet plays a fantastic 100x your stake. Reveal five of the bonus symbols and ten free spins will come your way. These are played on a new reel set and can be re-triggered, with a grand total of up to 260 freebies available if your luck is truly in. The wild symbol appears on the middle three reels, and will substitute for all base game symbols to create new and exciting winning combos. Here, other icons relating to luck – four-leaf clovers, ladybirds, lucky number sevens – appear and serve up their own cash prizes. 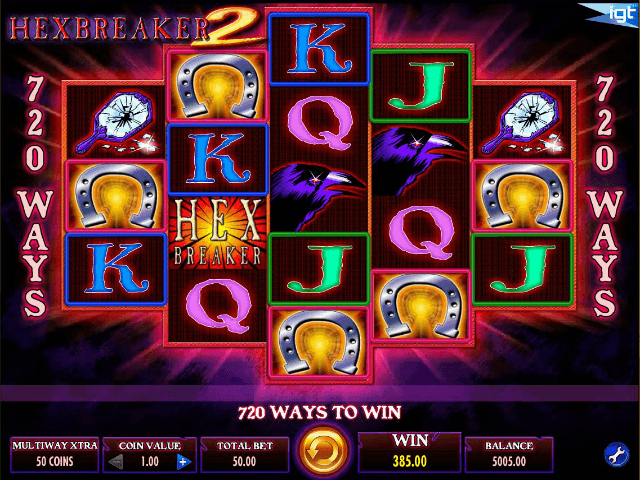 The wild symbol may appear as normal during the free spins round and delivers the same fine rewards, while the scatter symbol is slightly different. It is now the word ‘karma’, and while the payouts are the same as the main game, the sense of relief that comes from your jinx being lifted is tangible! Share this Hexbreaker 2 Review today! If you like Hexbreaker 2, you'll love these slot titles too!